I have been curious about Princess cruises for quite some time. I have heard numerous cruisers swear by them and say that they are the best cruise on the seven seas. So, when I saw that Princess had a four-night California coastal sailing available, I immediately booked the sailing. 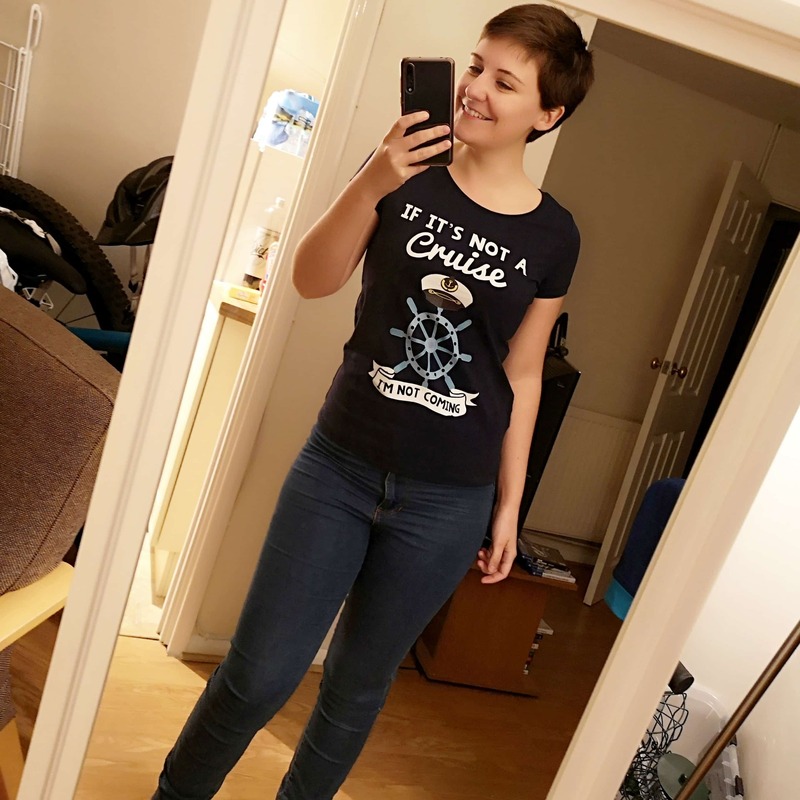 Since my family dramatically dislikes short sailings and bemoan their disdain of them, I decided to sail with my dear friend, Nicole. We discussed the itinerary and dates and excitedly booked the sailing. What could go wrong, right? Ruby Princess, here we come! 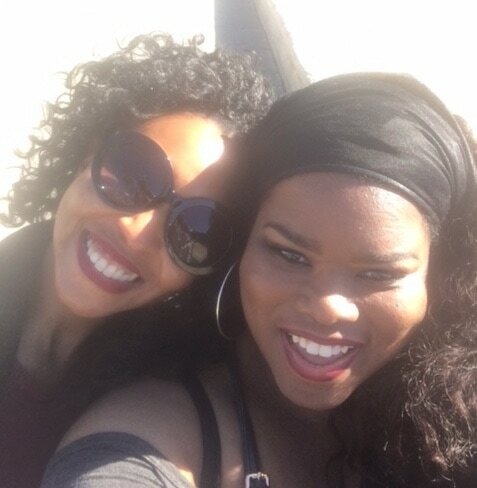 As we were flying from two different cities, we decided to meet in Los Angeles. My flight arrived early on the morning of embarkation. Nicole’s flight was scheduled to arrive the day before embarkation. However, due to a winter storm that blew through the northeast, her flight was cancelled last-minute. As such, she spent the days prior to departure, fervently searching for last-minute flights that would not be grounded due to the horrible winter storm. When she finally found a flight, it was scheduled to arrive at LAX two hours following my arrival. After collecting my luggage from baggage claim, I went to find a place to sit and read until Nicole’s arrival. While walking through the baggage claim area to find a seat, I noticed a sign for Princess cruise lines. I remembered my online check-in stating that airport transfer was an option. Unfortunately, I checked in too late to add the transfer online but I was advised that I could inquire about availability at the airport. Upon inquiry, I was advised that the cost of transfer was $34 and they would take my bags, deliver them to my cabin and add the fee onto my onboard account. The cost of Uber was about $5 cheaper but of course, I’d be responsible for my own bags. I immediately signed up. I inquired about my friends’ flight and was told she’d be at a different terminal and I’d need to get transportation to that terminal or I could meet her at the port instead. Weighing up my options I decided to simply meet her at the port. I boarded a comfortable shuttle and struck up a conversation with a lady named Stephanie. Stephanie was on a weekend girls’ trip and was excited about a weekend devoid of real-life responsibilities. Let the partying begin. We chatted amicably in route to the pier and were pleasantly surprised by the ease in which guests were directed through the terminal. We filled out a simple form and were shown to a comfortable lounge area to wait. Within thirty minutes they began the check-in process for elite passengers. After check-in was complete, we were all shown to a different area to wait until it was time to board. Upon boarding, Stephanie and I went to find our respective rooms, dropped off our carry-on luggage and went in search of food. Our trip was off to a great start. Once Nicole’s delayed flight arrived, she sat on the tarmac for over an hour waiting for a gate. She finally deplaned and collected her luggage but there was no Princess representative in the terminal and she did not have the Uber app on her phone. She inquired with ground transportation officials at LAX and no one was aware of the whereabouts of the Princess representatives. 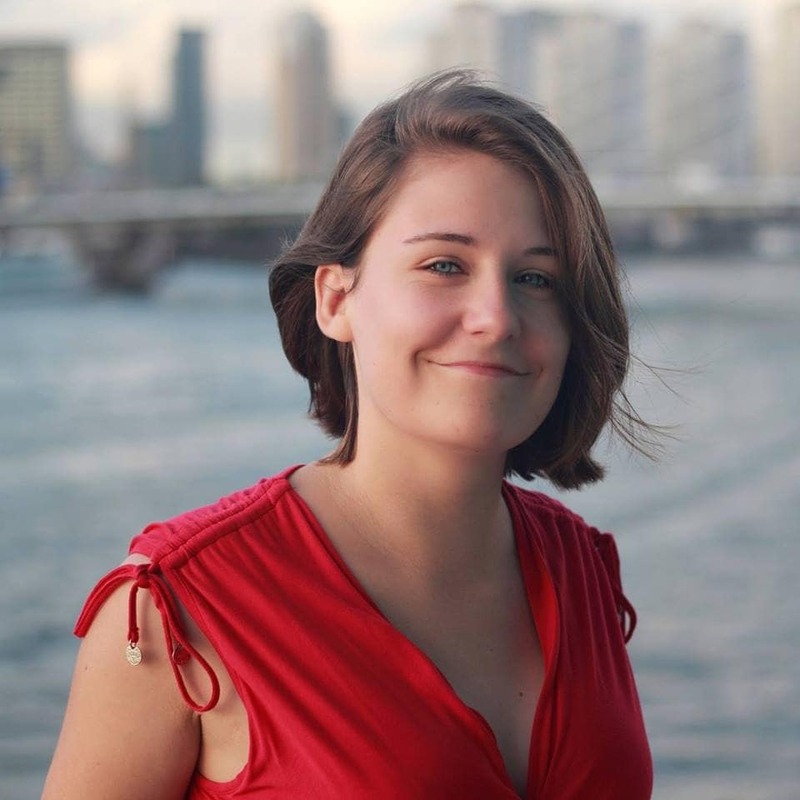 After searching for a while, she found a cab for $60, a substantial amount more than the cost of the shuttle. Upon arriving at the San Pedro terminal, Nicole reported the entire embarkation process rather confusing from the onset. She stated that the attendants were yelling at people, asking for their luggage tags and asking each other for staplers. By the time Nicole finally boarded the Ruby Princess and met up with Stephanie and me, she was more than ready for a stiff drink. The Princess Patter is the onboard newsletter that describes everything going on aboard the ship. It will advise you of the time, location and activity. The Princess patter is delivered to your stateroom every evening so you can plan your activities for the following day in advance. Prior to sailing, Nicole and I were both eager to watch a movie under the stars and book time in the Sanctuary. Additionally, I was super excited to make dinner reservations at Share by Curtis Stone, check out the gym facilities and participate in onboard fitness classes. Nicole was more excited about spending time in the hot tub, luxuriating in the spa and shopping on State Street while in Santa Barbara. The Princess Patter allowed us to plan our time aboard based upon when certain events were occurring. 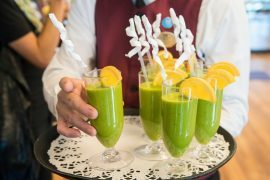 There was a spa tour that occurred on the first day to acquaint guests with spa packages and options while onboard. Most of the spa treatments were substantially more than I was willing to pay as I am not normally a spa girl. However, Nicole loves going to the spa and having massages and facials. She also felt the spa treatments were costly so she opted out as well. We went to the onboard gym the morning we docked in Santa Barbara. The gym had a plethora of equipment that would be sure to keep any fitness enthusiast satisfied while on vacation. There were more than enough treadmills, ellipticals, free weights and weight machines. 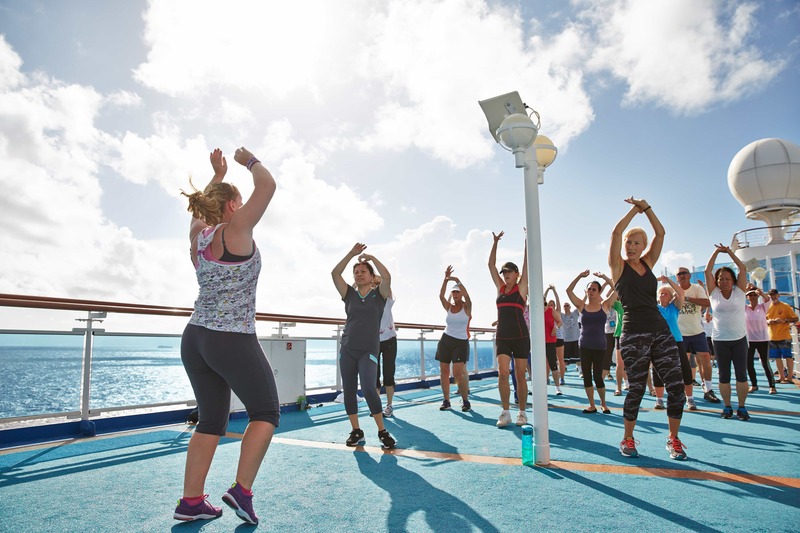 Additionally, there was an open gym area for fitness classes that were held throughout the cruise. There was an additional charge for the fitness classes that were conducted in the gym, so we opted for cardio equipment, weights and free Zumba classes. The treadmills and the free weights have signs on them that prevent their use prior to 8am as there are cabins beneath that could potentially be disturbed by early morning usage. On our sea day, we chose to book an afternoon in the Sanctuary. 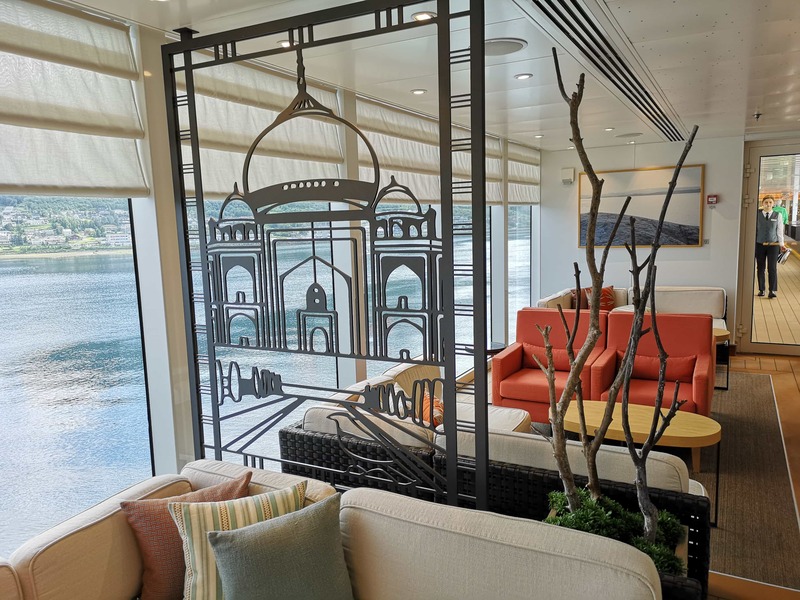 The Sanctuary is an area aboard Princess ships that cater to passengers who are seeking to relax by the sea in peace and serenity. There is a nominal fee of $20/half day and $40/full day within the Sanctuary. I read somewhere that if a passenger chose to book the Sanctuary every day during a sailing there would be a different fee available to them. As we were only booking one afternoon on a four-night sailing, that pricing option did not apply or appeal to us. 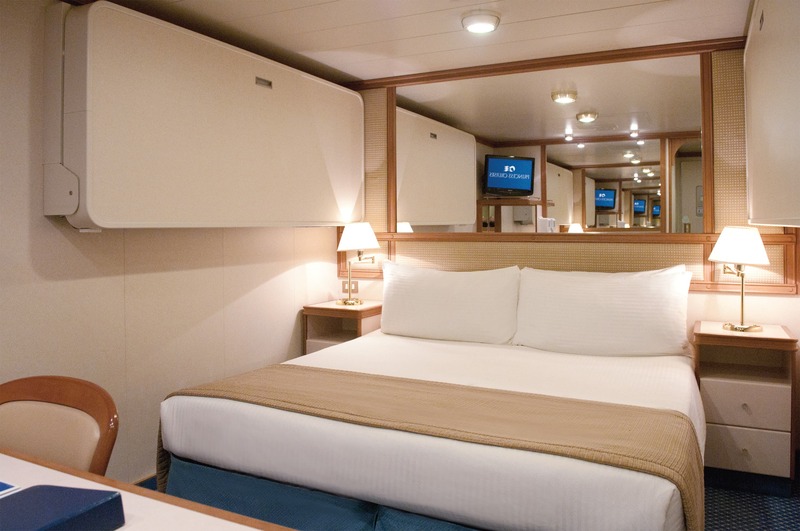 The Sanctuary has cushioned chairs that line the outside perimeter of the ship to provide optimal sea gazing and tranquillity. Once you book, you are assigned your own seat and they will save this seat for you for the entire length of your booking time whether you show up or not. Additionally, there are massage huts, a private pool with hot tub and a specific menu for ordering food and drinks. An afternoon tea is served and the staff goes out of their way to ensure that you have a relaxing and enjoyable stay. 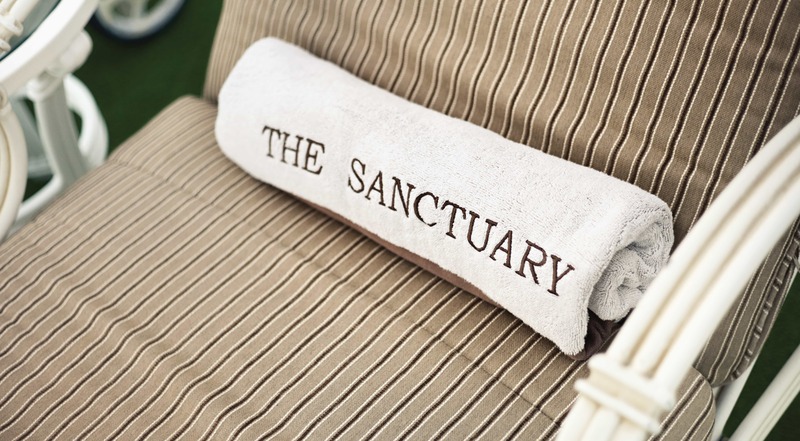 If you are looking for a relaxing place to unwind and view the ocean without fighting the early morning chair hogs, the Sanctuary is definitely the place to go. 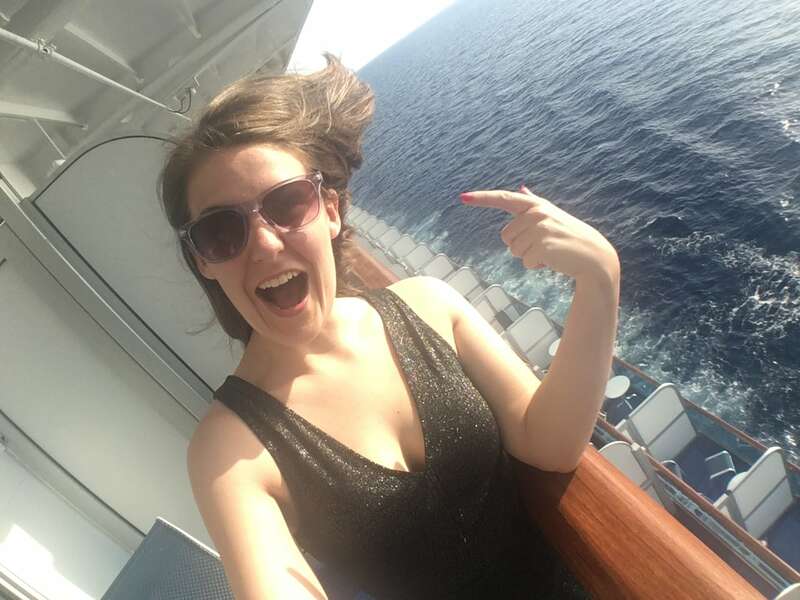 As my last cruise was aboard Disney cruise lines, I was completely sold on shows at sea! When we first began talking about activities aboard the ship, I told Nicole, “We’ve got to see the shows!” On our first night, we decided to see the opening night show. We entered the theater and searched for the perfect seat to watch a show which would surely be a delight. Unfortunately, Nicole and I were sorely disappointed. Not only did the show leave much to be desired, but on our way out of the theater, one of the passengers loudly remarked, “Gosh! That show was awful!” Nicole turned toward the passenger, laughed and vehemently agreed with him. 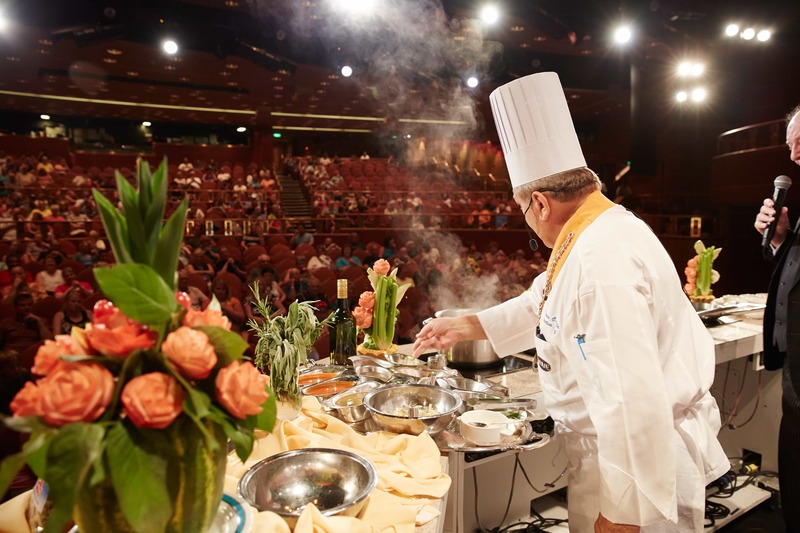 On our one sea day, there was a cooking demonstration in the Princess theater. I convinced Nicole that we should try it as it was not a show but an interactive demonstration. Sadly, what I’d hoped would be a fun-filled entertaining event became a boring snooze fest. Several of the passengers around us fell asleep in the middle of one of the chef’s explanations and the cruise director even fidgeted around and tried to glance surreptitiously at his watch. Nicole continued to turn towards me with a very pointed, ‘I-told-you-so’ expression on her face. Needless to say, we did not attend another show in the Princess theater. 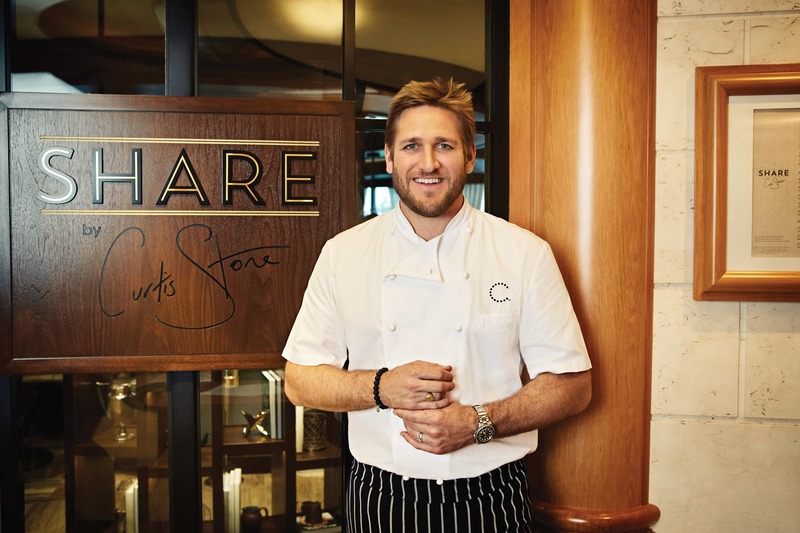 I was adamant about wanting to eat at Share by Curtis Stone. Leading up to the cruise, I was told Share was only available on select Princess ships and that the speciality restaurant was a must do experience. I read countless forum posts about Crown Grill as well but was led to believe that Crown Grill was on every Princess ship. I told Nicole that I wanted to try Share as I may not get the opportunity to sail on a ship with that particular restaurant again in the near future. Upon boarding the ship we went to Share to make a reservation and were advised that the only available time was that night. We immediately booked the reservation and left with plans of returning later that evening. Upon our return, we were greeted promptly and seated by a window, per Nicole’s request. The restaurant was beautiful with a modern, contemporary flair. The environment was cosy yet intimate and would be a perfect venue to book when my husband and I sail on Princess in the future. Our waiter came over to introduce himself and welcome us to Share. He explained the menu and advised us that we were to choose an item from each course. Nicole stopped eating meat over two years ago so she was pleasantly surprised at all of the options on the menu that were meat free. As our courses were served, we were taken aback both by the presentation of the food and the tastiness of each entrée. For one course in particular, I ordered the steak but did not care much for it. The meal was well prepared but my husband makes delicious steak at home, so it is very hard to ever eat one that will compare. When my observant waiter returned to the table and saw that I hadn’t eaten very much of the meat, he was insistent that I choose something else from that course. I told him I was fine and I appreciated him but I was going to wait for my dessert to arrive and did not need anything else. He was relentless and genuinely concerned and refused to take no for an answer. I finally settled on a non-meat option for this course and found it to be spectacular. All in all, I was blown away by Share and even more so by the dedication to customer service and detail shown to us by our server. We were also, unexpectedly, given the opportunity to dine at Crown Grill. While in the main dining room our second night onboard, we met a mother and daughter who were cruising to celebrate the mother’s 70th birthday. We laughed and conversed with them throughout dinner and all agreed to return to the same restaurant to dine together the following night. While dining on the third night, Tonya (the daughter), stated that she had a reservation at Crown Grill the following evening and wondered if we’d join her. I was elated! We were advised that Crown Grill was completely booked for that sailing so I did not have any plans to dine there. When they so graciously invited us to join them, we jumped at the opportunity. Dinner in the Crown Grill! Crown Grill was an unexpected treat and I would definitely book the restaurant again on a future Princess sailing. The ambience is traditionally classic, elegant and warm. The wood accents and linen-covered tables leant itself to memories of a bygone era. Immediately upon entering, I knew that we were in for a treat. Our waiter introduced himself to us, took our drink order and explained the menu. We were instructed to choose one item from each course. For the main course, he advised that he could bring a family-style serving for each of the vegetables so that we could try all of them. We all placed our orders and were each delighted with every decadent bite as we dined with new friends on our final evening aboard. I would be remiss if I did not mention that we enjoyed every culinary experience aboard the Ruby Princess. The Horizon Court Buffet was beautifully appointed and had great food. The environment was less crowded and far less overwhelming than buffets on other ships that I’ve sailed. I was pleasantly surprised. Nicole was more than able to find meat-free, tasty food options. She even reported that she was pleasantly surprised with the offerings. 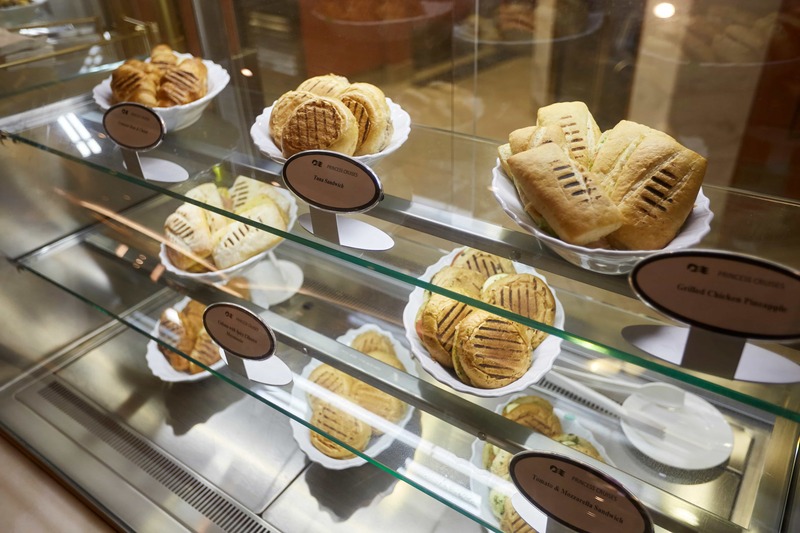 The International Café always offered a selection of lighter fare. There were always an array of sandwiches, salads and desserts available to sample. Everything I tried, was delicious. The ship, in general, was quite lovely. The atrium shops were a fun attraction and a common gathering spot for friends or large groups. 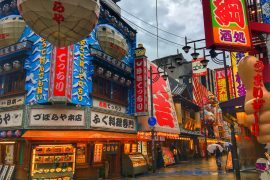 We spent a fair amount of time observing, wandering through the shops and browsing for must-have souvenirs. We chose an interior room for our accommodations. Though the room was small in size, the cabin was more than sufficient for the time that we spent inside our cabin. The bedding was incredibly comfortable and I slept very well the entire trip. Nicole agreed that the bedding was comfortable, however, she felt the rocking of the ship the entire journey. As such, she reported that the rocking greatly disturbed her and prevented her from being able to fully enjoy her rest. We visited Santa Barbara and Ensenada on this sailing. While in Santa Barbara we took a ride aboard a bicycle-drawn carriage. We were able to get an informative ride in the fresh air while marvelling at the beautiful sites. While in Santa Barbara, we enjoyed a day of shopping, browsing and pedicures along the well-known State Street. The area was scenic and we found many beautiful things to take home with us. While in Ensenada, we visited La Guerrarense for lunch. Sabina, the restaurant owner, was aboard our ship and spoke during the onboard cooking demonstration in the Princess Theater. Though the additional speakers were not very enjoyable, Sabina and her family peaked our interest. We decided to definitely try her food. The food was delicious and as a special, unexpected treat, Sabina was present when we went for a visit. I would definitely suggest the shrimp tacos and the Ceviche as both were amazing. On the final morning, immediately preceding disembarkation, I noticed that I was charged twice for my meal at the Crown Grill. I went to Guest Services and was greeted by a kind lady who worked tirelessly to help rectify the situation. Unfortunately, tensions were running quite high in the area and several angry passengers were heard yelling at crew members behind the desk. In addition, many people tried skipping in line or simply showing a lack of class or overt aggression. I was pleased with how calm and levelheaded the staff remained amidst the chaos. I was saddened by the blatant disrespect and disregard for humanity that was shown to these hard-working individuals. Nicole’s experience with guest service was quite different than mine. She visited earlier in the cruise and was quite frustrated with the “language barrier” that she encountered. This made her query and the subsequent solution quite a challenge when faced with communication issues. As is the case for most cruisers, I am always somewhat sad to leave the ship. However, I had a lovely time and was eager to get home to my family. Disembarkation was somewhat hectic, in my opinion, but I have definitely encountered more tumultuous disembarkation experiences. Nicole’s views on disembarkation were the polar opposite of mine. She felt that disembarkation was “just as annoying as embarkation”. She even witnessed an elderly lady walking in circles and visibly frustrated with the “lack of assistance” in getting off the ship. Nicole vehemently states that the only good part of disembarkation was jumping right onto the Super Shuttle immediately upon exiting the terminal. In conclusion, I have learned that two completely different people can have a practically identical vacation and conclude with two totally different experiences. 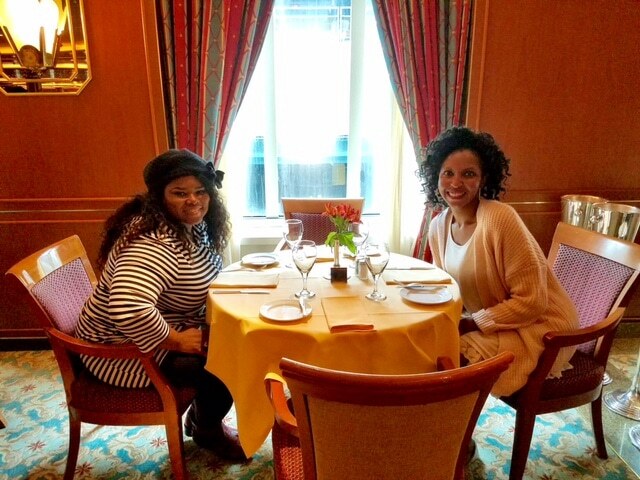 While Princess was my 11th cruise on numerous cruise lines, this was Nicole’s 4th. Nicole encountered numerous scenarios that ultimately made her decide “Ruby Princess left much to be desired”. She is reportedly Loyal to Royal and will be returning to the Royal Caribbean fleet for her future sailings. I am all about whichever cruise takes me to the best port on the best dates for the best price. 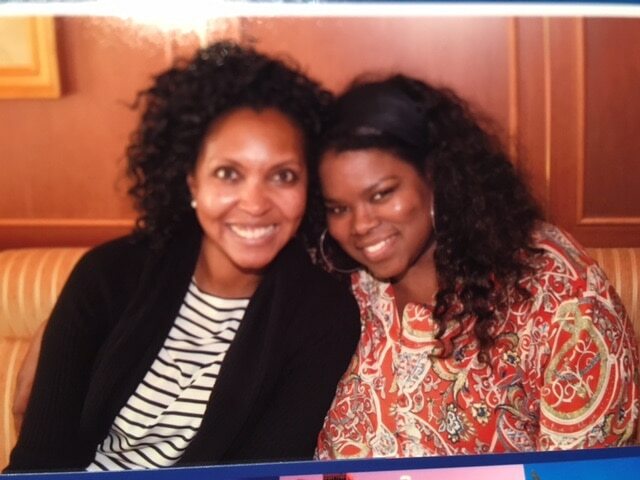 I had a ball aboard the Ruby Princess and would not change anything about my trip. As for me, a day of vacation is better than the best day at work. Life is what you make it and so is a vacation. 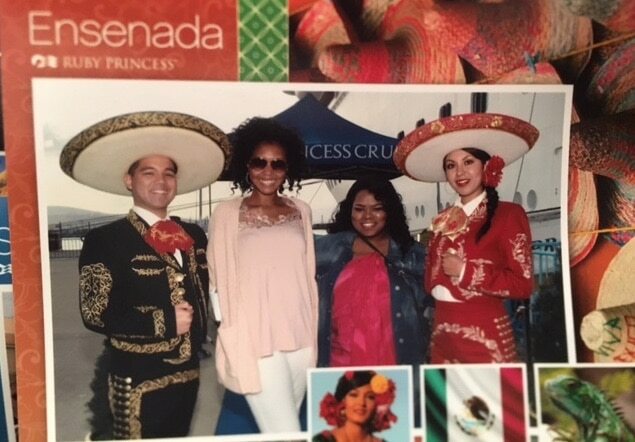 I had a blast and I will definitely book another Princess sailing. Paul and Carole are regular guest bloggers on our site (you’ll probably recognise them). They recently took their first steps on a Princess ship! 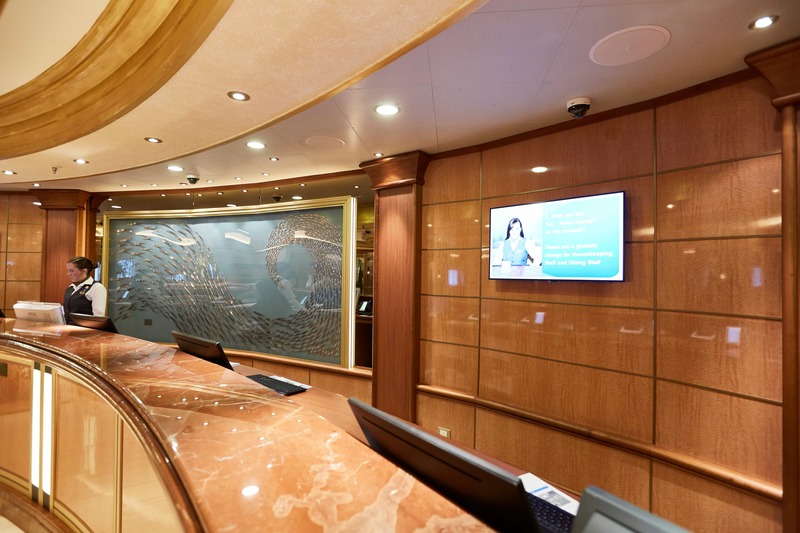 Click here to check out what they thought of the Royal Princess: Our first Princess cruises experience. 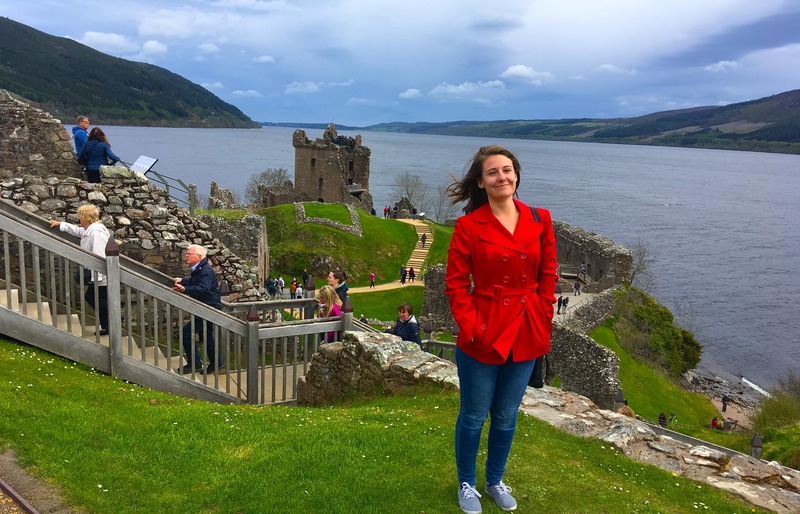 I recently took a British Isle’s cruise onboard the Royal Princess which was INCREDIBLE. 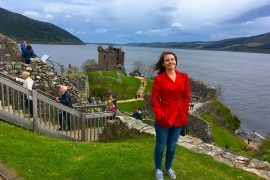 To read more about my adventure around the British Isles click here: British Isles – Excursion review. I was recently onboard the Golden Princess where I really fell in love with cruising with Princess. This was my first Princess cruise and they exceeded all of my expectations. 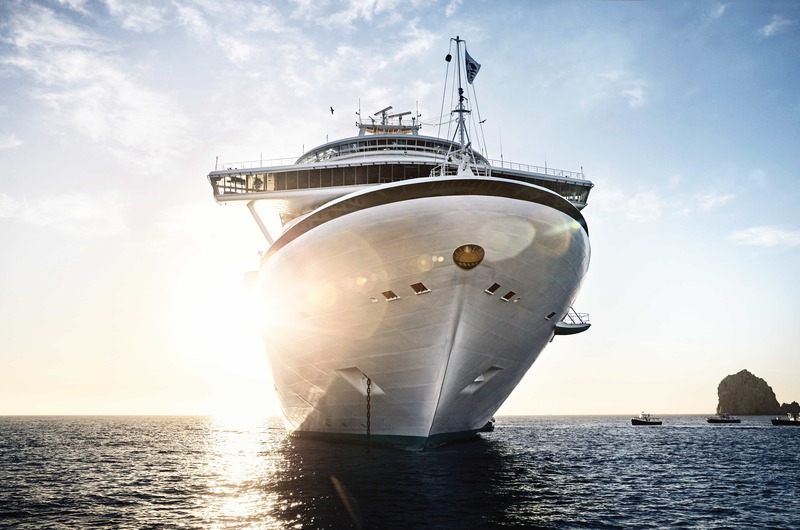 To find out why I loved Princess so much click here: Golden Princess, Asia cruise. I filmed daily vlogs onboard which you can find here: Golden Princess daily vlogs. DISCLAIMER: Our posts may contain affiliate links. This means that if you buy something through one of those links, you won’t pay a penny more, but we will get a small commission which helps to keep this site going. If we have received anything for free or are being sponsored for a post it will be clearly disclosed. Thank you so much for this one! I love your reviews and it was really interesting to hear about your time on the Ruby Princess. I recently returned from two Princess cruises, one on the Golden Princess and one on the Royal Princess both of which I really loved. 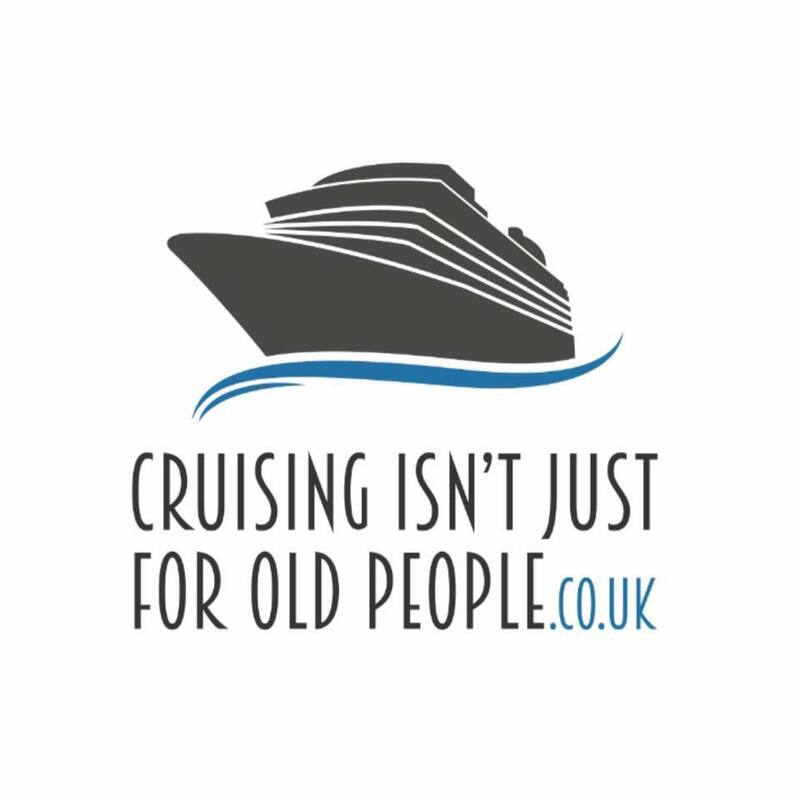 It’s a good job we’re all different and like different things, I’m a firm believer in the idea that there is a cruise line for everybody. My name is Adrienne and I met my husband the first night of my first cruise in 2001. 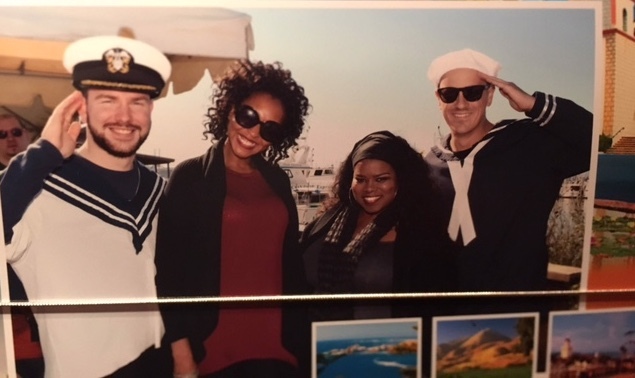 We love to travel and we’ve been cruising ever since! We now have two little cruisers along for the ride. I look forward to sharing what we learn on our future travels! 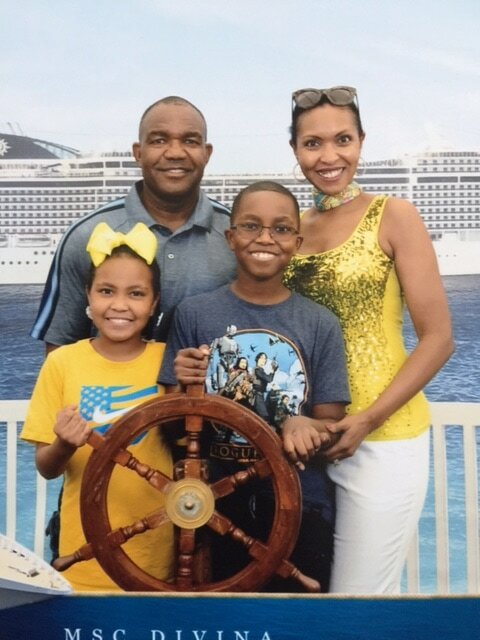 Adrienne and her family have cruised on the Carnival Jubilee (2001), Celebration (2003) and Freedom (2016), Royal Caribbean Serenade of the Seas (2006) and Enchantment of the Seas (2017), Peter Deilmann River Cruise (2008), Holland America Nieuw Amsterdam (2013), MSC Divina (2017) Norwegian Pearl (2017) and Ruby Princess (2018). 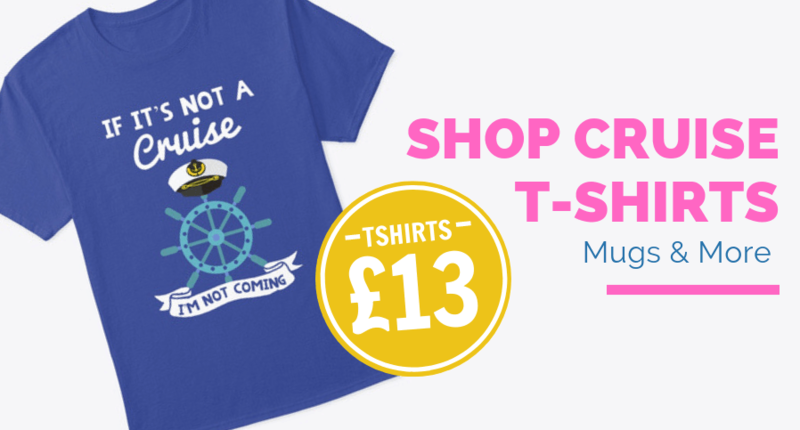 A Princess Cruise will keep you ‘shipshape’! This was a fantastic review. I really appreciate that you included your friends comments. Thank you.